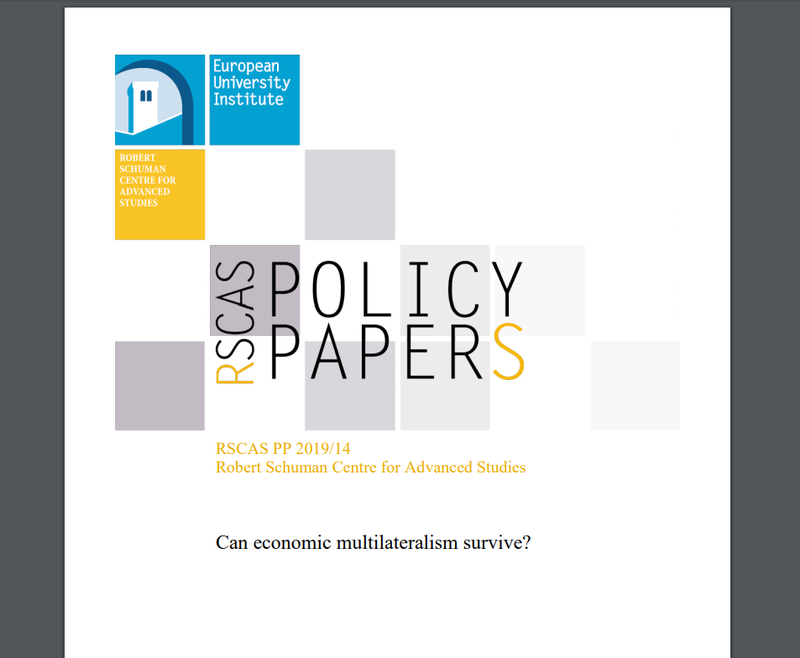 Home »News»Policy paper: Can economic multilateralism survive? Policy paper: Can economic multilateralism survive? Professor Jean Pisani-Ferry published a new policy paper in the Policy Paper Series of the Robert Schuman Centre for Advanced Studies (2019/14). Economic multilateralism briefly flourished in the 1990s in the aftermath of the collapse of the Soviet Union and of the opening up of the Chinese economy. Attempts were made towards completing the institutional architecture of globalisation. With the significant exception of the creation of the WTO, however, these attempts were frustrated and the vision of the 1990s failed to materialise. 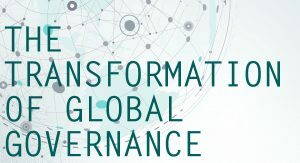 Three roadblocks to effective collective action are, first, the growing disconnect between changing channels of interdependence and the prevailing global institutional architecture; increased concentration of economic weight coupled with increased heterogeneity of economic development; and the growing multipolarity of the global economy. Against this background, new governance arrangements have emerged that depart from the standard template based on legally binding rules and universal treaty-based institutions. Clubs have developed along regional or thematic lines; informal arrangements have burgeoned; coordination procedures are often informal; incentives tend to substitute binding requirements. Since its creation, the Group of Twenty (G20) has actually often relied on non-universal, non-Westphalian or informal institutions. Economists are generally doubtful of the effectiveness of soft governance mechanisms. Whereas distrust is justified if the underlying game is of a prisoners’ dilemma nature, it may be excessive if the underlying game can be solved through creating trust and monitoring the implementation of commitments. Clubs, pledge and review mechanisms and informal cooperation arrangements have significant weaknesses but they may deliver more than predicted by naive models. Five policy implications can be drawn from this analysis: first, completing the post-war global governance architecture is not the way forward anymore; second, club-type and incentive-based arrangements provide a wealth of experience to learn from and to build on; third, a case can be made for rooting clubs in universal principles; fourth, there is a need to think more systematically about the involvement of the private sector in governance arrangements; fifth, existing institutions should not be regarded as sectoral empires, but rather as potentially nimble poles of expertise and cooperation that represent globalisation’s social capital. This RSCAS Policy Paper explores new governance arrangements that depart from legally binding rules and universal treaty-based institutions, evaluating their effectiveness and drawing five policy implications.